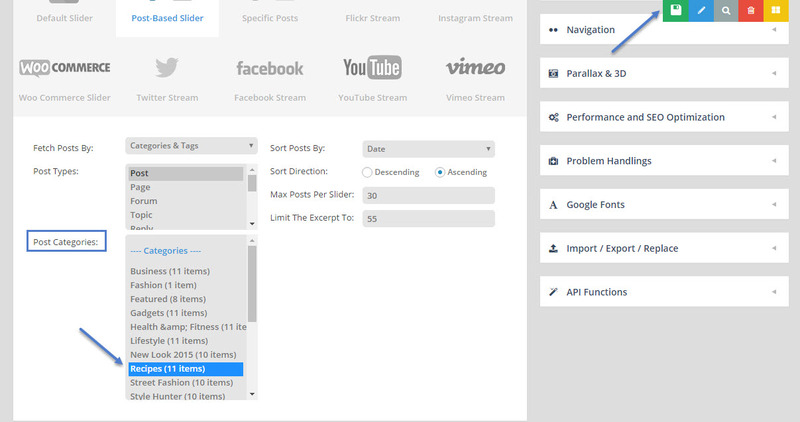 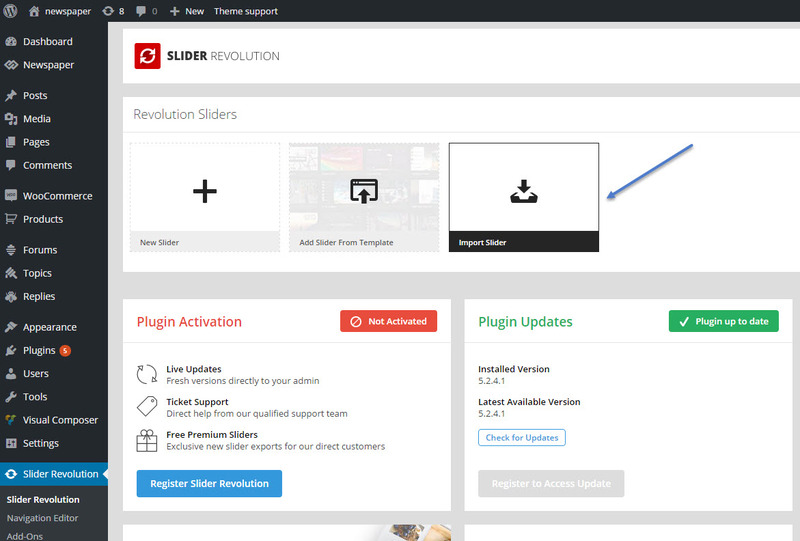 Step 1 – After you have the demo installed (see here), you must install the Revolution Slider plugin (see here) and activate it in the Plugins section. 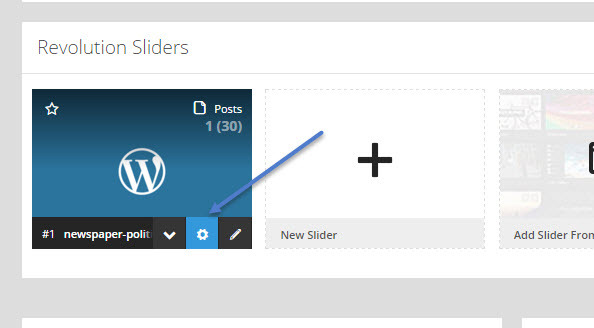 Step 3– Choose the slider associated with your theme demo (you will find it as a .zip file in Newspaper-tf\demo_sliders folder) and click the Import Slider button. 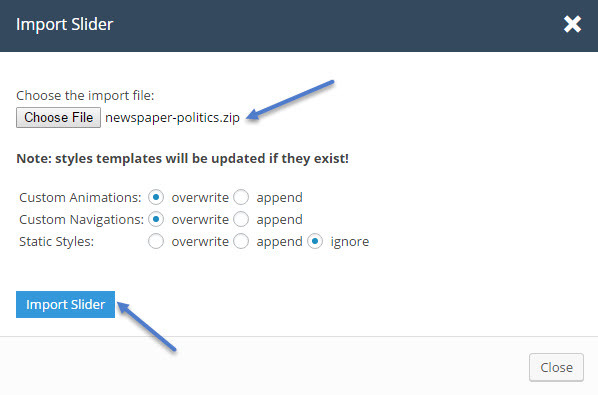 Step 6 – With the category set, all you have to do is save your changes by clicking the Save symbol on the right side of the page.